Can I just say that I love being positive and praying? Cause I do… love it. Yesterday I got back on track with my 30 Day Infusion and wrote the post Day 498: Newbie and I just used those thoughts all day long! Whenever I was tempted with something food-wise I thought, “I am a new person!” and when I could feel myself starting to obsess about food, I prayed, “God just bring me close to You today. I just want to focus on You.” It was just so nice to look at that leftover bite of chocolate covered granola bar and instead of saying “Don’t eat it! Don’t do it! Turn around!” I was able to, instead, say something positive to myself, “I AM NEW! YOU ARE NEW, JANUARY!” I actually feel GOOD about myself instead of crappy. How wonderful to feel so important that God purchased my freedom for me… with His own SON! That He showers his kindness on me! I just picture Him ever-so-gently holding my life in His all-powerful hands and smiling with contentment that I am His. WOW. I am cherished. And dang, ya know… I would have loved to really tap into that mindset earlier in my life. I can picture now the girls from high school that knew that they were cherished by God. So long I spent searching for some guy to cherish me (not denying that it’s not nice to have my husband cherish me now). But now I can remember that I am cherished now no matter what I do. that I’ll still be adored and fawned over by God because I am cherished by Him. PRAYER: God, YOU are awesome. You are just everything that I need even when I don’t know that you are all that I need! You are the One True Love of my heart and I adore You. Thank you for buying my freedom from sin and sadness. Thank you for just cherishing me as a precious part of the existence You have created. Continue to pull my eyes toward you God. Call out to me when I take my gaze away from you and remind me of your Love of your Greatness and of your Power! I truly long only for You, God. I just want to have my days be a moment-by-moment interaction with You. Please, help me make that happen today. Thank you for cherishing me. Thank you for making me new. Thank you for making me royalty and for making me for more than just earthly junk. You are what I want! I love youuuuu! Amen! 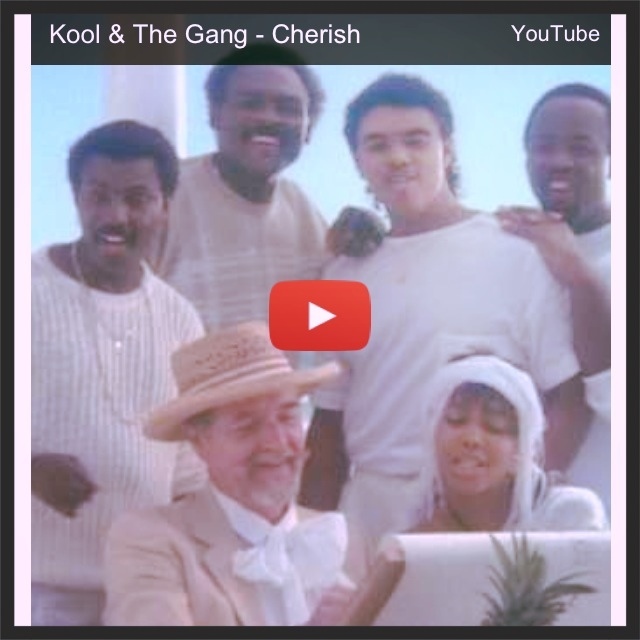 And if you want to know where I came up with the title for this post, you can watch the video “Cherish the Love” from the 80s by Kool & The Gang if you want some laughs. It’s purty cheesy and it has nothing to do with this post other than it has the word “cherish” in the title of the song! Ha!